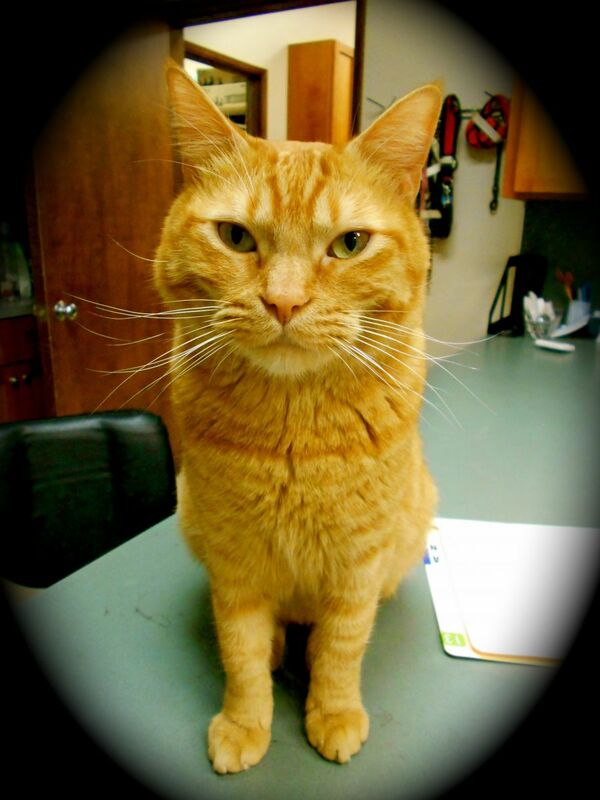 Tangelo came to Orchards Veterinary as a feral cat in the summer of 2012. Tangelo had a large infected wound from being attacked by a coyote. For two months he lived in the clinic while getting life saving antibiotics and laser therapy. Eventually Tangey became part of OVC, he is no longer a feral, and now lives in the clinic full time. Tangelo's favorite activities include lounging on warm blankets (after they come out ot the dryer), eating any left over dog food and attacking techs when they're holding grumpy cats. Fun Fact: Tangelo is a blood donor!